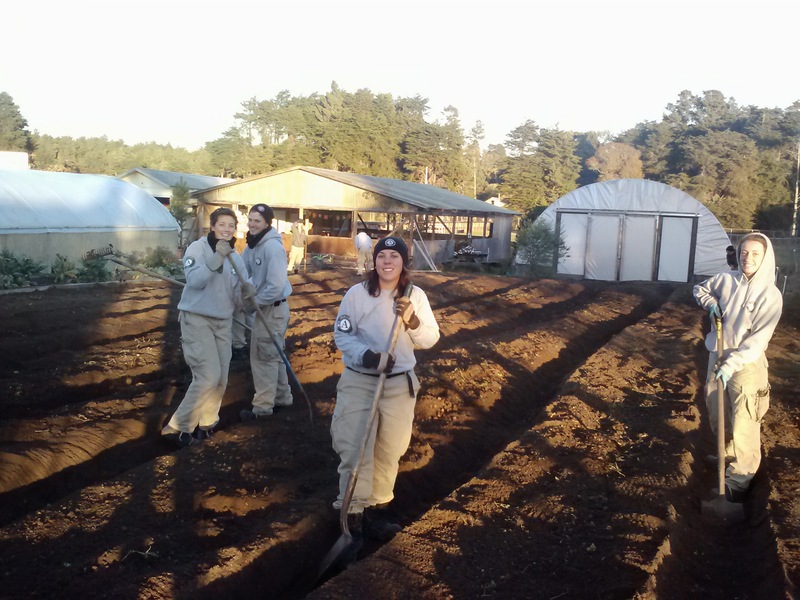 Our Americorp team at Noyo Food Forest is amazing. 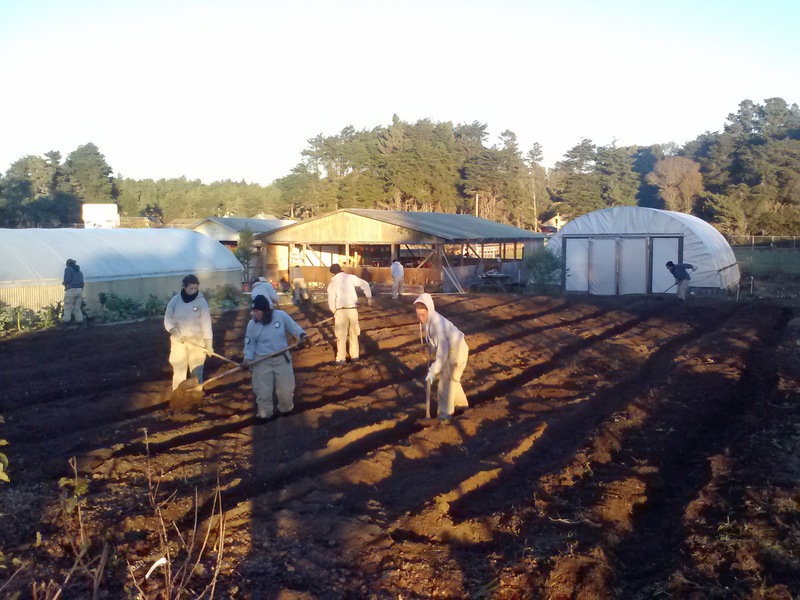 With their help, we’re totally re-organizing the farm at Fort Bragg High School and designing a system that will be streamlined and efficient enough for me to manage it part time, the way my job was always designed. Its so cathartic and amazing to me to see the ground cleared, all the odds and ends of years and years of teenager traffic wiped away, and the possibilities laid out for us to see. I’m convinced Americorp members are some of the best people out there. They have without exception been intelligent, positive, scrappy, incredibly energetic and happy to jump in and do just about anything- including shovel manure. 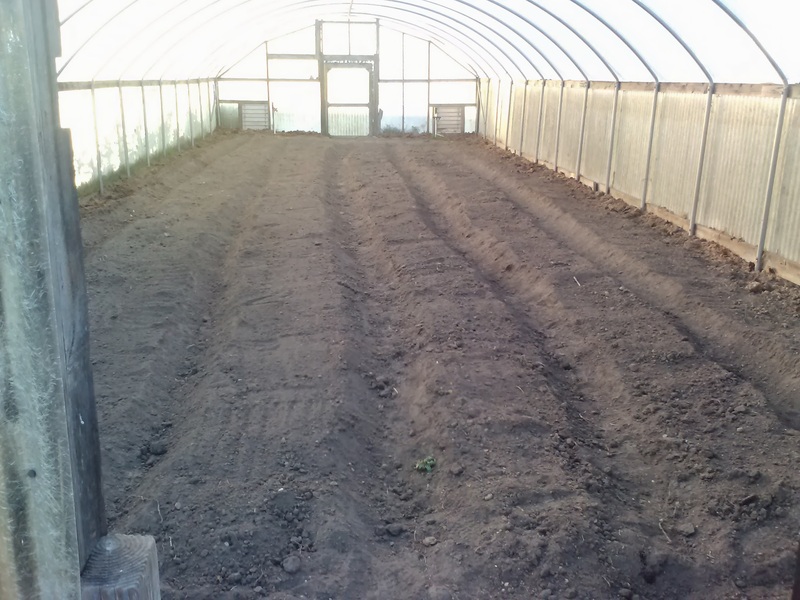 The garden is looking very different- we now have nine eighty foot long beds for our main market garden, a big change from the patchwork of smaller beds and perennials we had before. This will allow me to produce food for the school cafeterias on a truly wonderful level. The wide beds carry the garden’s legacy of biointensive practices, and the deep rich soil made with composted hops and grain from North Coast Brewing Company will make for some very happy plants. We’re starting 2014 in the perfect way.